See, how soon I am piling up the Quick Fix series? Nothing is easier than this mani, all you need is two colors. I used Chocolate for the bases and Popcorn for the easy french tips. It only takes about 15 mins to complete this look and fully drying. I wish the crackle can be more dramatic. If I got more time, I may outline the white french tips. Well, someone has to remind me that this is a quick fix post, don't do too complicated designs. 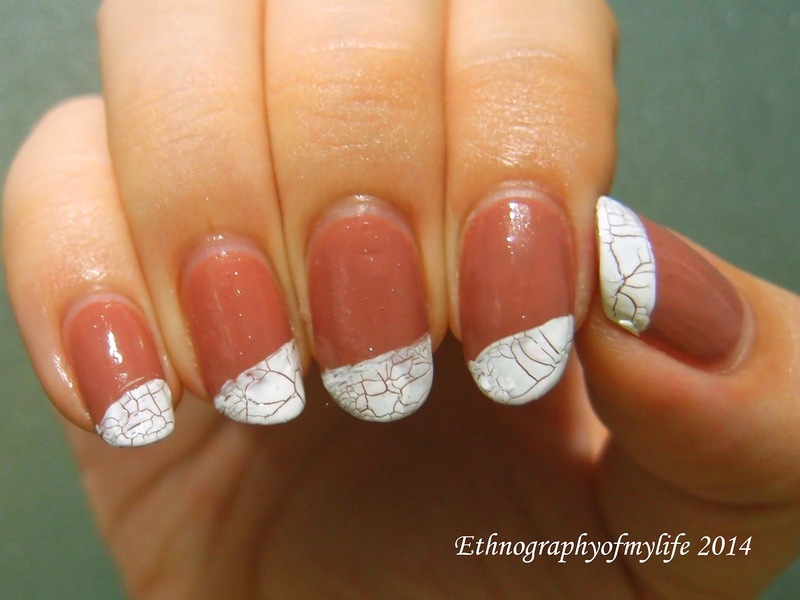 Everyone can do this manicure easily!